Does Lotto Surfer Really Work? Read Reviews! Lotto Surfer is a web-based application allowing you to play PowerBall, Mega Millions and the Florida Lotto online. 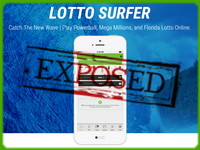 Lotto Surfer App Exposed — Go Virtual or Stick to Traditional Lottery Tickets? Lotto Surfer — What Is It for? We all like our online conveniences. Who doesn’t love shopping online, looking for information or chatting with others who may be living halfway across the globe? Well, when it comes to conveniences and internet-based opportunities, lotteries are no exception. Can’t be bothered to go out and buy a ticket? Lotto Surfer seems to be the solution that you’ve been waiting for. Before high-fiving us for this discovery, however, it may be a good idea to take a look at what Lotto Surfer is and whether it delivers on the promises being made. So, What Is Lotto Surfer? According to its creators, Lotto Surfer is the coolest invention since the wheel. Well, they didn’t go this far but you get the idea. Lotto Surfer is a web-based app enabling you to play PowerBall, Mega Millions and the Florida Lotto online. The idea itself is very simple. You open the app, choose the lottery that you’d like to play, pick your numbers and add a ticket to your cart. Lotto Surfer enables you to make a digital payment, which obviously gives you access to a digital ticket with the numbers you’ve chosen. On top of the ticket price, however, you’ll also be asked to pay one dollar for the so-called Lotto Surfer “premier ticket management service.” Paying the fee will also give you access to automated alerts and a record of all the lottery tickets you’ve ever bought through the system. The payments are handled through PayPal, which is great. You can rest assured that the safety of your financial information is guaranteed by one of the world’s biggest online payment platforms. That’s a good sign and a PayPal payment enables you to test the platform without worrying about the confidentiality of your data. They Call It Premier Ticket Management Service but Is This Really So? So, why you should you use this opportunity and pay the one dollar fee instead of directly purchasing your tickets? The folks at Lotto Surfer claim that you’ll get access to various premium services that will simplify your life. Whether your ticket is a winning one or you’ll need to try again, Lotto Surfer will make it easier for you to manage your lottery endeavors (or so the official app page says). Your ticket will be matched against the numbers that have been drawn and you’ll be notified whether you’re the owner of a winning combination. In addition, you’re supposed to get assistance in terms of collecting the money, as well as financial planning assistance. We suppose the purpose of the final one is to keep you from spending all of the money you just got on something ridiculous and hating yourself for the decision in the years to come. If this is what Lotto Surfer really delivers, we truly congratulate its creators for the idea. Unfortunately, the official website doesn’t provide any additional information about the financial planning assistance or what it encompasses. Would you mind rating Lotto Surfer? The Bottom Line: How Legitimate and Reliable Is It? Lotto Surfer appears to be a legitimate opportunity for buying lottery tickets online and benefiting from a couple of great notification/alert opportunities. Since payments are completed through the PayPal platform, there’s no risk when it comes to making a purchase. Financial data security: check! The service also has a convenient auto reorder that keeps track of your favorite numbers and enables you to automatically submit a ticket for each draw. If you’re adamant on getting your lottery ticket each time, you’ll find this opportunity helpful. Automation and convenience: check! It’s a little bit difficult to find reviews and information about the actual experiences people have had with Lotto Surfer. The company’s Facebook page features just a couple of images and the official website is pretty standard. Testing the app itself, Lotto Surfer seems to be quite user-friendly and intuitive. 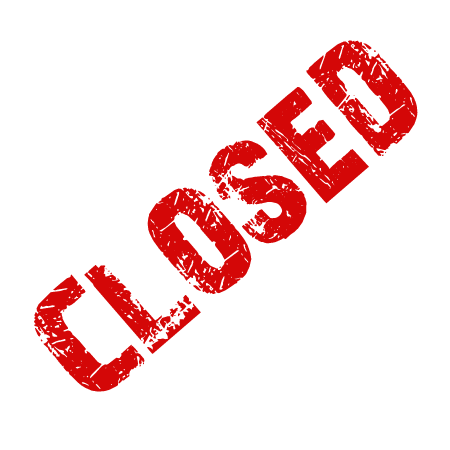 Upon getting to the website, you’ll be asked to provide information about your location. Once you do so, you’ll be given a list of the lotteries that you can buy a ticket for and the expected jackpot for the upcoming draw. Choose a lottery of preference and you’ll be taken to a screen where you can pick your numbers. When done, you can save the ticket combo as a favorite, get the ticket mailed to you upon the completion of the process or automatically reordered for the next draw. Finally, you’ll have to confirm the order and make a payment. Is Lotto Surfer the best product on the lottery market? It certainly has a couple of fun and convenient features. If you like buying your tickets online and you’re a bit forgetful, this app and its reminders will be great for you. The decision to give Lotto Surfer a try will depend entirely on your preferences but all in all, it seems to be a legitimate lottery ticket purchasing/management opportunity. Final verdict: 6.5 out of 10 stars. I think it is absolutely great that Lotto surfer handles payments through the Paypal platform. I have used it twice now, and believe me, it really is user-friendly and intuitive. If you’re like me and you like buying your tickets online, this app and its reminders will be great for you. Be forewarned; once Paypal finds out Lotto Surfer is using Paypal for a payment method, per Paypal’s terms, they will lock up LS’s funds for a minimum of 6 months and ban LS from ever using PayPal again. Lotto Surfer -- What Is It for?